Global Immigration. We Have All The Angles Covered. The U.S. Department of State has released the <em>Visa Bulletin for May 2019</em>, which shows slight progress in most employment-based preference categories. 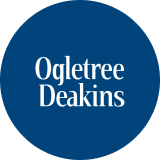 With more than 70 full-time immigration attorneys, 130 paralegals, and 75 additional support professionals, Ogletree Deakins is one of the premier business immigration practices in the United States, serving organizations large and small, including many multinational companies. Specific representation includes visa strategy planning and case preparation; consultation and guidance for immigration issues regarding corporate acquisitions, mergers and sales; and I-9 compliance/audit representation. Ogletree Deakins has the capability to handle volume immigration work while providing responsive client service that focuses on the specific needs of clients. Please login using the button to the left to access your account and to check the status of your case. Need an Account? Please contact us at info@visatrax.com to request account access. Please provide your complete name, company and contact information.